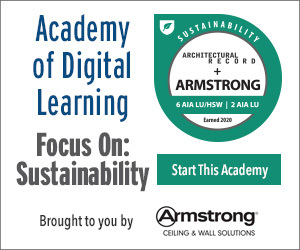 Discuss air infiltration requirements of ASHRAE 90.1, International Energy Conservation Code (IECC), and California’s Title 24, and the impact on net-zero, energy-efficient, and sustainable buildings. 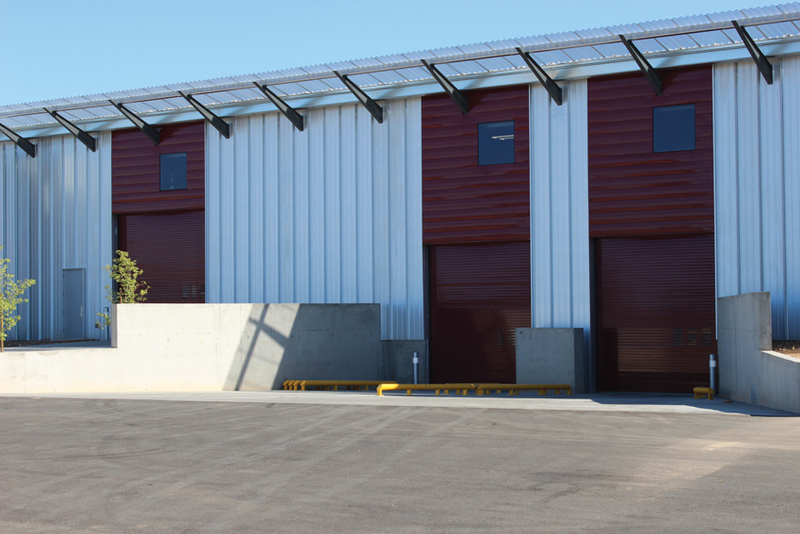 Identify the mandatory requirements for rolling doors to meet new air infiltration standards. List the variety of credits that code-compliant, high-performance rolling doors can contribute to when meeting green building rating systems, such as LEED. Specify exterior rolling doors that meet ASHRAE criteria for project climate zones. Design professionals are increasingly demanding products that meet and exceed code requirements. They are designing to meet new high-performance criteria and using energy models to meet net-zero energy use. In the near future, it is highly likely that a well-designed building will be expected to meet the goals of net-zero energy usage. A greater industry focus on improved energy performance standards has led to changes in regulations, codes, green building rating systems, and building products. Code authorities have recognized that reducing air infiltration is crucial when improving the energy performance of exterior rolling doors. Air infiltration is defined as the unintended or accidental flow of air through a building envelope via cracks in the building envelope—particularly in and around door and window openings. Controlling air infiltration is an important strategy for design professionals focusing on the reduction of energy use and is a crucial part of achieving a building with net-zero energy usage. New durable rolling doors are meeting and exceeding energy codes, providing improved sound attenuation, and can be finished with attractive, no-VOC colors, as shown in the door for this new Harley Davidson distributor facility. 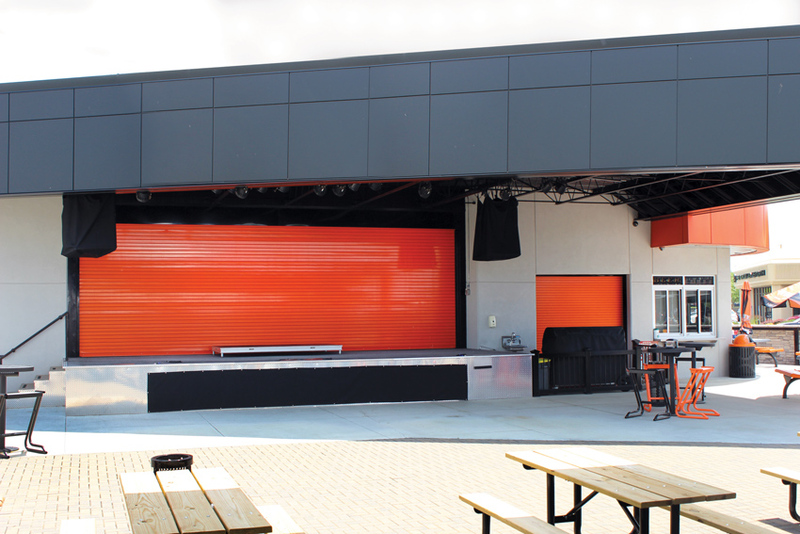 The rolling steel doors protect the venue and equipment when not in use. The doors were powder coated with an orange that matches the brand’s color guidelines. Exterior rolling door manufacturers are one of many industry leaders who have developed high-performance products to meet these new stringent performance goals. Advances in exterior rolling door construction enable new rolling doors to exceed current air infiltration codes by as much as 73 percent. Enhancements to the aesthetics of rolling door products can support a wide range of design intentions, while also achieving mandatory code compliance. There are many benefits to selecting rolling exterior doors, but traditionally aesthetics were not at the top of that list. This is changing, as manufacturers are now able to powder coat custom images onto doors, either to help the door stand out or even blend into a larger design aesthetic. 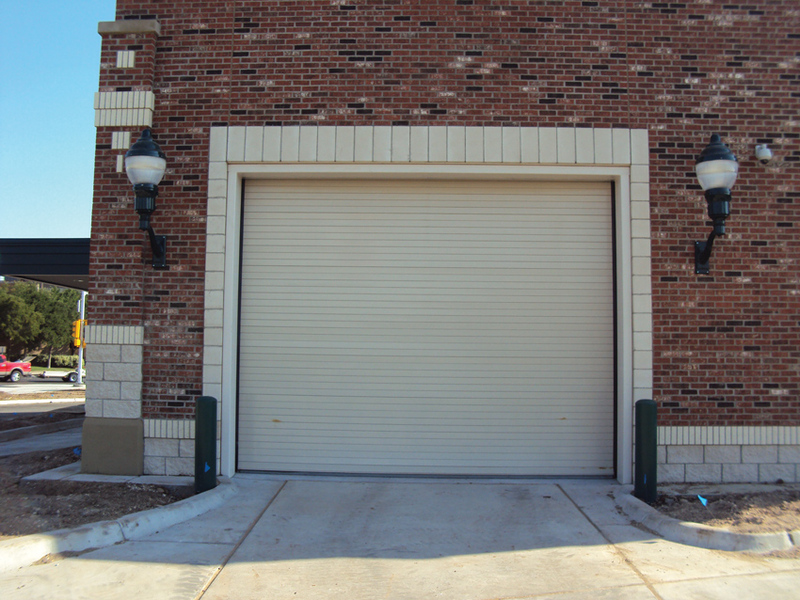 While sectional doors are more energy efficient than rolling doors, there are many situations where rolling products are the best—and sometimes only—option for a closure product. They work particularly well in low-headroom situations, as rolling doors are stored in a compact coil at the head of the opening. Fortunately, recent advances in rolling doors are significantly improving their energy efficiency. They are selected as space savers and are used in many applications where security, reliability, and durability are paramount. Now, the demand for sustainable products has driven the rolling door industry to improve energy efficiency. Design professionals are now choosing energy-efficient overhead doors for both high-end and industrial buildings. These doors contribute to the use of nonrenewable resources wisely, providing economic and environmental savings. Designers can meet LEED Materials and Resources credits for indoor air quality by selecting doors with non-emitting, no-VOC finishes, as used in the graphics at the McKee corporate office showroom. 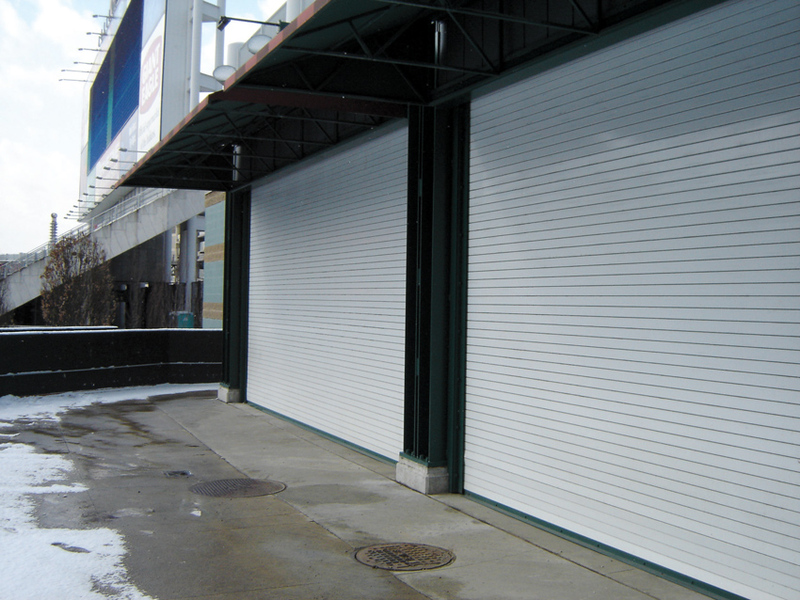 Insulated rolling steel doors provide building security and prevent heat loss, especially with extreme outside temperatures. At the same time, numerous organizations, including those that set building codes and standards, are developing tighter regulations that apply to the energy efficiency of building products. The latest best practices and standards for meeting new air infiltration standards of The International Energy Conservation Code (IECC) 2015, 2015 International Green Construction Code (IgCC), California Title 24-2013 Building Energy Efficiency Standards, and the American Society of Heating, Refrigerating, and Air-Conditioning Engineers (ASHRAE) 90.1-2013 are important energy-saving mandates. Many design professionals do not realize the latest code requirements identify stringent, nonnegotiable standards for acceptable air leakage. Contrary to popular opinion, these are not optional standards to be “greener.” The new regulations are mandatory, and a trade-off path to approval is not available. Even more importantly, products must have third-party certification to substantiate compliance. Energy codes are adapted at the state, county, or city level. At the federal level, there are codes and standards that must be met to comply with federal funds available throughout the American Recovery and Reinvestment Act (ARRA) of 2009. Different federal agencies, like the GSA as well as several branches of the armed services, require that buildings are designed to meet strict environmental targets. For the residential build community, ARRA requires states to meet or exceed the 2009 International Energy Conservation Code (IECC) or achieve equivalent or greater energy savings. For the commercial build community, states must meet or exceed ANSI/ASHRAE/IESNA Standard 90.1-2007 (ASHRAE Standard 90.1-2007) or achieve equivalent or greater energy savings to qualify to receive federal funding. Many authorities do not adopt ASHRAE Standard 90.1 directly but instead adopt the IECC. The 2009 IECC contains two options for commercial buildings: 1) ASHRAE Standard 90.1-2007 by reference or 2) a set of requirements directly in the IECC. 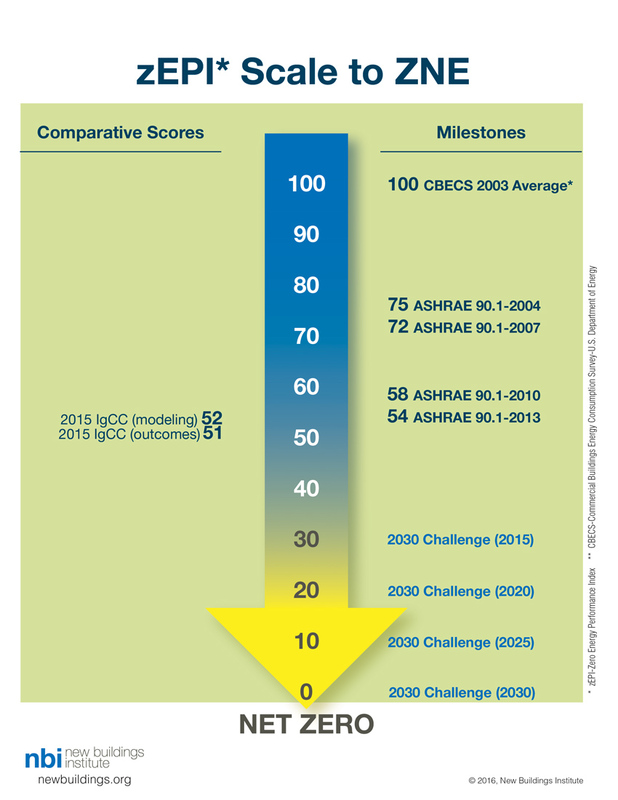 The commercial requirements in ASHRAE Standard 90.1-2007 and the 2009 IECC are similar but not identical. Both ASHRAE Standard 90.1-2007 and the 2009 IECC have been superseded by newer versions that require higher levels of energy efficiency. ASHRAE Standard 90.1-2010 was published in August of 2010 and the 2012 IECC was published in May of 2011. The first step in effective enforcement of energy codes is to know the requirements of the applicable code. IECC, California Title 24, and ASHRAE codes have all been developed with input from numerous stakeholders, including The Door and Access Manufacturers Association (DASMA). DASMA represents numerous organizations divided into six divisions of door manufacturers. Five divisions represent manufacturers in these product categories: Access Control Point Systems, Commercial & Residential Garage Doors, High Performance Doors, Operators & Electronics, and Rolling Doors. A sixth DASMA division, the Associates Division, includes manufacturers that supply raw materials or significant components used in the manufacture and installation of door and access systems. Their participation in the code-development process resulted in a significant but attainable reduction in allowable air leakage. Meeting building codes does not necessarily mean that the design professional is guaranteed a green building. In fact, the codes often list the bare minimum that is required to secure an energy-efficient building. That said, green building designers can use the codes as a guide to identify more strict performance values. If the target is to deliver a net-zero or a high-performance building envelope, the architect will want to select products and materials that exceed energy codes. These codes mandate third-party certifications and have tightened allowable air infiltration rates. The three most important codes to consider when selecting an exterior rolling door that minimizes air leakage are the International Energy Conservation Code (IECC) 2015, ASHRAE 90.1-2013, and, if in California, Title 24 Building Energy Efficiency Standards. Many state and local governments have adopted the International Code Council’s International Energy Conservation Code (IECC) 2012.5 The 2012 requirements reduced the allowable air leakage rate for exterior doors. IECC 2012 Section C402.4.3 requires that the air leakage of fenestration assemblies shall meet the provisions of Table C402.4.3. This Table requires a maximum air infiltration rate for rolling doors of 1.0 cfm/ft2 in accordance with ANSI/DASMA 105, NFRC 400, or ASTM E283. ASHRAE develops standards and guidelines that are referenced by most codes. These standards establish consensus for methods of testing and performance criteria guiding the industry toward acceptable performance values. They also publish design guides that encourage enhanced performance. ASHRAE 90.1-2013 requires that air leakage for rolling doors shall be determined in accordance with the National Fenestration Rating Council NFRC 400 guidelines. Doors must be labeled and independently tested to meet a maximum air leakage rate of 0.4 cfm/ft2., which is even more stringent than IECC. Requirements in ASHRAE 90.1-2010 and 2013 are similar. California Title 24 – 2013 Building Energy Efficiency Standards Enacted in 1978, the California Title 24 energy code mandates the energy efficiency of new (and altered) homes and commercial buildings. This standard is updated every three years. By 2030, the target for all new buildings in California is to meet net-zero energy. This energy code was developed “because energy efficiency reduces energy costs, increases reliability and availability of electricity, improves building occupant comfort, and reduces impacts to the environment, standards are important and necessary for California’s energy future.”6 A majority of states have adopted energy codes, many using Title 24 as a model. The mandatory requirements for fenestration products and exterior doors are found in Subchapter 2, Section110.6 of California Title 24-2013 Building Energy Efficiency Standards. Other than a field-fabricated door, exterior doors may be “installed only if the manufacturer has certified to the Commission or if an independent certifying organization approved by the Commission has certified that the product complies with all of the applicable requirements of this subsection.”7 The applicable requirement is that manufactured fenestration products and exterior doors shall have air infiltration rates not exceeding 0.3 cfm/ft2 of door area for nonresidential single doors (swinging and sliding) and 1.0 cfm/ft2 for nonresidential double doors (swinging) when tested according to NFRC-400 or ASTM E283 at a pressure differential of 75 Pascal (or 1.57 pounds/ft2). The New Buildings Institute (NBI) is a nonprofit organization that assesses technologies, promotes design approaches, and helps guide policies and programs that will significantly improve the energy efficiency of commercial buildings.8 NBI collects data on buildings and currently publishes a database of 319 commercial buildings that are verified or on the path to meeting net-zero energy goals. They have also developed a new Zero Energy Performance Index (zEPI), which provides a visual scale of how buildings fit into a scale of 0 to 100 on the path to reducing energy usage. This scale was adapted into the 2015 International Green Construction Code and is expected to become part of future model codes. In the analysis of these low-energy buildings, NBI has learned that the characteristics and strategies for achieving high-performance building envelopes are a key to the success of these projects. NBI provides guidance to communities on “stretch codes,” which are those used by jurisdictions to demonstrate environmental leadership or to be used as zoning incentives. These codes are requiring air leakage rates of 0.25 cfm/ft2 of the whole assembly—a standard that will require control and specification of all of the parts of the building envelope. This rolling door section shows where conventional doors are most susceptible to air leakage. Ralph Ellison, chief executive of the New Buildings Institute, believes that although there can be resistance to product developments that may advance ahead of the market, manufacturing leaders provide a variety of products that meet and exceed code requirements. These leaders push the economic viability of products with higher standards. In fact, some manufacturers are actually exceeding the code requirements for rolling doors with products with maximum air infiltration rates of 0.3 cfm/ft2. In addition to specifying doors that meet higher standards than required by code, Ellison observes that there can be a big difference between the air leakage rates that are published and tested and the reality of field performance. A door may meet code requirements on paper, but many factors affect code compliance in reality. Once the door is installed, its air infiltration performance should be verified. Ellison believes that future standards will require that the contractor perform commercial building tests and commissioning similar to those provided for residential buildings. These tests will include thermal imaging and blower testing for the building envelope. He has observed that new high-performance buildings are now adding micro-switches on operable windows and doors. This product interlocks the operations of the door or window with the HVAC system, adjusting these systems when users open and close doors. Some systems also have red/green light strategies, providing alerts that allow doors to open and close based on weather conditions. According to Ellison, many designers are focused on net-zero energy standards and using passive design standards. They are also designing to reach the maximum credits for green building systems, such as LEED or the Living Building Challenge. The Zero Energy Performance Scale was adapted by the 2015 International Green Construction Code. Architect Marc Chavez, AIA specifier, ZGF Architects, practicing in Washington, is proud of specifying high-performance products for his clients. Washington state complies with strict energy codes, and designers always develop energy models for their projects. He finds that there is a “hit in the energy model to the building envelope from sectional or coiling doors that leak like sieves.” Selecting a high-performance door system is important as well as making sure it is not value engineered out of a project. Increased performance values are available in rolling doors that decrease air infiltration by as much as 95 percent. Air infiltration can be controlled through the design of doors with advanced perimeter seals, thermally broken frames (known as guides for rolling doors), and insulation. These specialized perimeter seals can accommodate odd floor and wall conditions, including slopes, curbs, or rails. Doors that are designed to meet specific installation requirements can be constructed to provide an energy-efficient enclosure for new construction. They can be easily retrofit to improve the energy efficiency of existing buildings. Key air leakage areas for a conventional rolling door are at the head and along the guides. Since metal has high conductivity, energy-efficient doors with metal frames include thermal breaks to reduce thermal conduction. Frames without thermal breaks reduce the energy efficiency of the entire building envelope. An insulated door in Amarillo, Texas, protects the building from hot outside air infiltration, while also complementing the exterior construction. The overall energy efficiency of all buildings is affected by location. Climate zones are listed in the U.S. Department of Energy’s 2012 IECC Commercial Scope and Envelope Requirements.9 Additional compliance to ASHRAE 90.1 criteria is required to meet LEED v4 rating system credits. U-values or u-factors are selected by climate zone. U-values are used in calculations to meet the associated environmental criteria whether using a prescriptive or whole building modeling. If a designer is looking for concrete return on investment data to justify installing an insulated rolling door, some manufacturers have calculators on their websites to provide this exact information. Optimizing energy efficiency requires the design team to maximize the thermal behavior of all products included in the building envelope by climate and location. Some manufacturers estimate savings up to $970/per door with a two-year payback when selecting an energy-efficient rolling door for the appropriate climate zone. Specifying a well-insulated rolling door can decrease air infiltration by as much as 95 percent over air infiltration from standard doors. Exterior doors are designed to withstand the full range of specific wind-load requirements. Double-skin interlocking roll-formed metal slats are filled with 7/8-inch-thick, closed-cell, pressure-foamed-in-place urethane insulation. Insulated exterior rolling doors can also be specified to meet strict fire and sound ratings. Manufacturers provide certifications and label the performance values validated through third-party testing. The approved method for testing exterior doors is the ASTM E 283-04: Test Method for Determining Rate of Airflow Through Exterior Windows, Curtain Walls, and Doors Under Specified Pressure Differences Across the Specimen. Third-party testing is a requirement in energy codes, standards, and green building rating systems. Selecting insulated rolling doors that exceed code standards can be part of a green building rating submittal. The U.S. Green Building Council’s LEED green rating system provides one of the largest collections of environmental guidelines and resources for delivering a sustainable building. LEED credit points contribute to LEED certification and are granted based on the overall building’s design and performance. While no single product or material alone can earn LEED credit points, the design of a building envelope can have the largest impact on the energy performance of a building. Passive design strategies include building orientation, construction, and materials that include high standards for window and door performance. 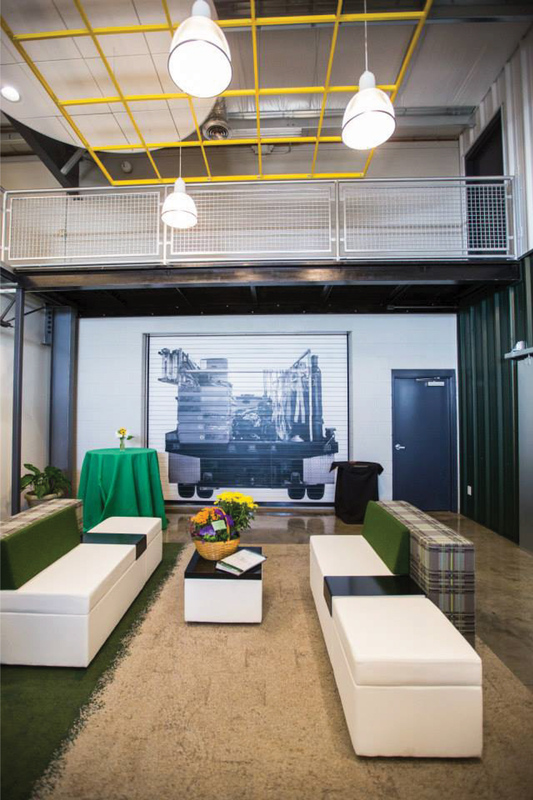 As part of an integrated design and construction strategy, the use of rolling doors with a number of environmental benefits will help designers obtain LEED v4 credits. Higher thermal resistance values provided by increased door insulation optimizes energy performance when the loading areas of a building envelope are calculated in energy models.